JetBrains has announced an update to its Visual Studio Extension, ReSharper Ultimate, adding several new enhancements and features. 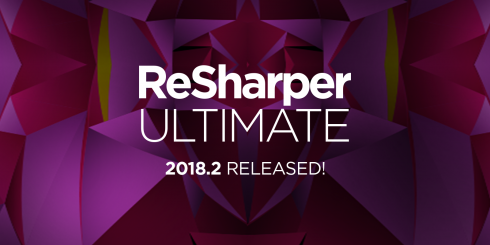 According to the company, ReSharper Ultimate 2018.2 adds 30 different performance fixes, ranging from EditorConfig support to decreasing load times. It adds support for C# 7.3, which is the latest release of C#. Static analysis tools JSLint, ESLint, and TSLint are now supported as of this release. It also adds initial support for the experimental framework Blazor. This release adds out of the box spell-checking functionality for most supported languages. It also adds a new popup for displaying parameter types and method return types in a different color, which will make it easier to visually identify method overloads. Developers will now be able to exclude files by their mask from search and navigation features. In addition, function signatures copied from dotTrace’s or Visual Studio’s call stack can now be viewed in ‘search everywhere.’ ‘File structure,’ ‘containing declaration,’ and ‘next/previous members’ will now take local functions into account as of this release. An update to the formatter engine means that comments in a code file can be automatically generated to override formatter settings, according to JetBrains. Additionally, the presentation for formatting rules coming from a StyleCop configuration file has been updated. Finally, several refactoring have been moved to the presentation framework. This will provide many benefits in the future due to unified control behavior for ReSharper and Rider. Other products in the ReSharper Ultimate family to be updated include ReSharper C++ 2018.2, dotCover 2018.2, dotTrace 2018.2, dotMemory 2018.2, and dotPeek 2018.2.